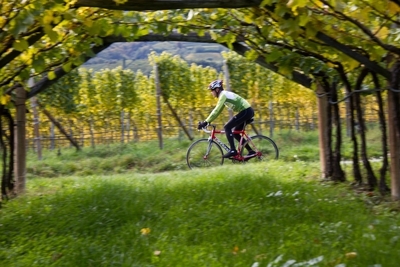 You can experience the South Tyrol Cycle Trail by two different routes. One version has the starting point in Vipiteno and the destination in Glorenza and the other is the other way round. 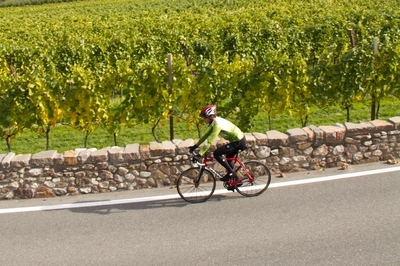 We have prepared a detailed summary of what the South Tyrol Cycle Trail is like from Glorenza to Vipiteno. So, version B of the South Tyrol Cycle Trail begins in Glorenza. Stage B1 from Glorenza to Merano is 60 km long and offers a climb of only 10 metres of altitude. Nevertheless, because of its length this leg must not be under-estimated, for now and again head winds can make the tour really strenuous. Glorenza, the smallest town in South Tyrol. With a difference in altitude of 360 m over 70 km Stage B2 does not follow the traditional Val d'Adige Cycle Trail but leads past Cermes to Lana. From there, it travels through apple orchards to Nalles and on in the direction of Sigmundskron Castle. 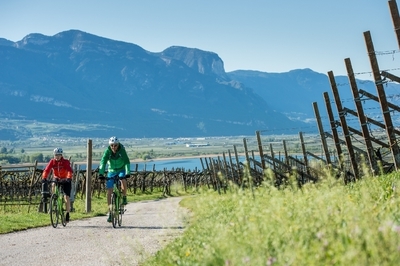 Here the South Tyrol Cycle Trail makes a worth-while detour through Caldaro and past Caldaro Lake, to lead finally to Bolzano, the destination for this leg. Bolzano, with its Old Town, the new quarter, the Ötzi Museum and much more. 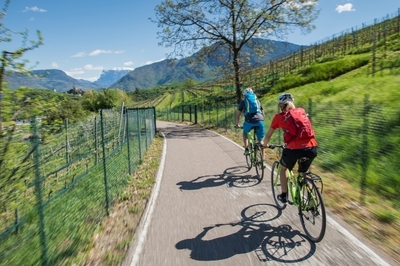 Stage B3 of the South Tyrol Cycle Trail from Bolzano via Chiusa to Bressanone is 43 km long. And the difference in altitude? This is all of 600 m and so must not be lightly dismissed. If you want to shorten this stretch, you can take the train to Chiusa and from there take the Cycle Trail from the centre of the Old Town of Bressanone. The diocesan town of Bressanone with its historic town centre. 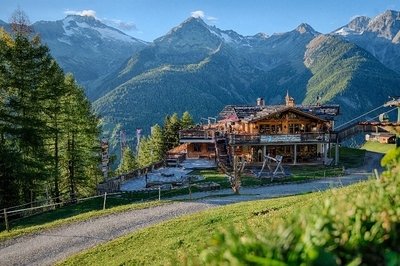 On its fourth leg the South Tyrol Cycle Trail makes a detour into Val Pusteria and on to Brunico. 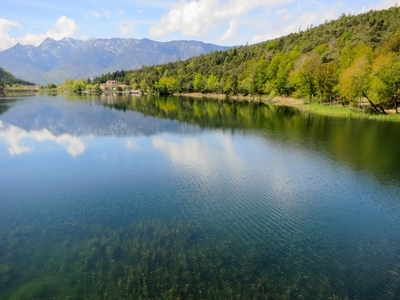 The route begins in Bressanone and leads across the Naz-Sciaves high apple-growing plateau to Rio di Pusteria and on the Val Pusteria Cycle Trail through rural villages into Brunico on the Rienza River. The leg is 43 km long and offers 560 metres in altitude. The last leg awaits you: from Brunico to Vipiteno, 58 km and 650 metres of difference in altitude. If you want to pedal all the way, you must tackle the stretch from Brunico to Fortezza once more on the Val Pusteria Cycle Trail. You can make the journey shorter by taking the train to Fortezza and getting back into the saddle from there. The return journey to the departure point for the South Tyrol Cycle Trail Route B is by train.